Which plant foods have the highest sources of calcium, protein, and other essential nutrients. Which nutrients are difficult to absorb from plant foods and how to improve absorption. 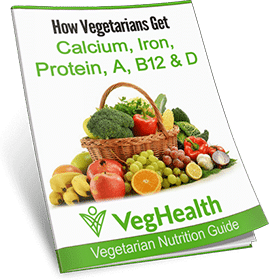 How much protein do we need and can we get enough on a vegan or vegetarian diet? Which nutrients are missing in a plants and what supplements are recommended? But Isn’t a Vegan Diet the Healthiest Diet? It is true that if you don’t eat a balanced diet, you could wind up with vitamin or mineral deficiencies. That could lead to anemia, hypoglycemia, diabetes, dental problems, or osteoporosis. That’s why we created The Vegan and Vegetarian Mastery Program. 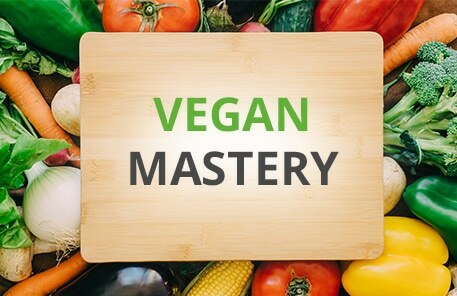 It will teach you how to thrive on a vegan diet, and say goodbye to all of the risks, worries, and headaches of whether or not you’re eating the right thing. Some people want to preview our info first. So we created a free 7-day email course. Sign up now and get brief excerpts of our lessons (the same ones our students pay for), but with no cost or obligation. Virginia Messina, MPH, RD, has been a nutrition instructor at Central Michigan University and a dietitian for the Physicians Committee for Responsible Medicine. She has authored (or co-authored) The Convenient Vegetarian, Help! My Child Stopped Eating Meat, and Vegan for Life: Everything You Need to Know to be Healthy and Fit on a Plant-based Diet. Jill authored the award-winning cookbook, The Veggie Queen: Vegetables Get the Royal Treatment. She’s a Registered Dietitian who writes and edits for Natural Food Network magazine and Vegan Culinary Experience magazine, She’s also been a nutritionist and cooking teacher at the McDougall program for the past 7 years. Meredith’s most recent book, Sweet and Natural, won the Versailles World Cookbook Fair Award. Formerly the associate editor of Natural Health magazine, Meredith directed The East West Center For Macrobiotics for 19 years. She’s also worked with Dr. Dean Ornish and Dr. John McDougall. Nomi’s best selling book, The Raw Gourmet, has sold over 150,000 copies. She’s received awards for Best Educator, Favorite Chef, Favorite Recipe Book, and been featured in Alive magazine and Get Fresh. Before that, she ran The Hippocrates Health Institute’s certification course. Dr. Loscalzo has been an integrative health care practitioner for over two decades. She’s a Doctor of Chiropractic with Certifications in Acupuncture, Clinical Nutrition and Herbal Medicine. She’s the author of Power Breakfast Ideas, Deliciously Quick Lunch and Dinner, Healthy Halloween Treats, Dessert: Making it Rich Without Oil and Dried and Gone to Heaven. Brenda Davis, RD, has authored or co-authored 9 books on nutrition including “Becoming Vegan”, “Becoming Vegetarian”, and “Becoming Raw”. Her books have sold over 2/3 million copies and are printed in 8 languages. She’s a member of the Vegetarian Hall of Fame. She’s also a past chair of the Vegetarian Nutrition Dietetic Practice Group of the American Dietetic Association. Jo is the author and co-author of sixteen books on compassionate living and vegetarian cuisine, including Vegan Vittles: Down-Home Cooking for Everyone. She was inducted into the Vegetarian Hall of Fame at the 2008 NAVS Vegetarian Summerfest. Her award-winning column Ask Jo! appears on her Web site, “Grassroots Veganism”.